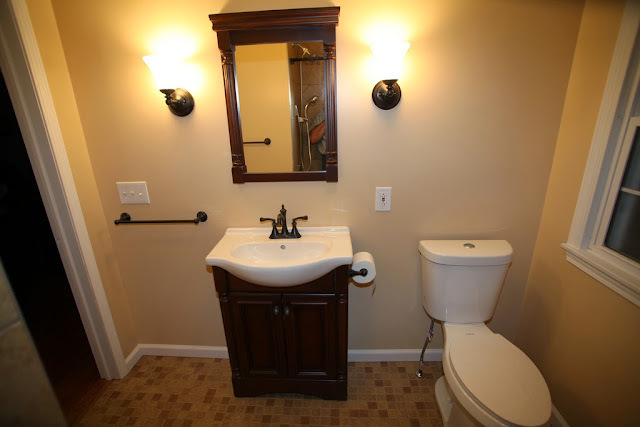 When we are decorating our home it can be easy to overlook the bathroom. We look at that room mostly as a functional space. Although the bathroom is often overlooked when it comes to decorating, giving it a new look can be easy, fun and relatively inexpensive. Often there is no need to undergo complete renovation because simple changes can make the space look charming. The most important thing for a bathroom is to be clean and tidy. But you can make your bathroom be so much more than that. Give your space for personal hygiene a sense of homeyness that reflects your personal style. There are a lot of ways to achieve uniqueness in your bathroom, whether it’s adding a pop of color or bold accessorizes. Gallery wall will give your bathroom the style touch you’ve always wanted. It will also add an eclectic edge to an otherwise traditional bath. Bathroom walls are the perfect spot to showcase your collection of paintings or even photographs. You can also display family photos on your walls in different edgy frames. If you have kids, you can show of with their works of art framed in colorful frames. Make sure to keep the pictures away from splashing water. 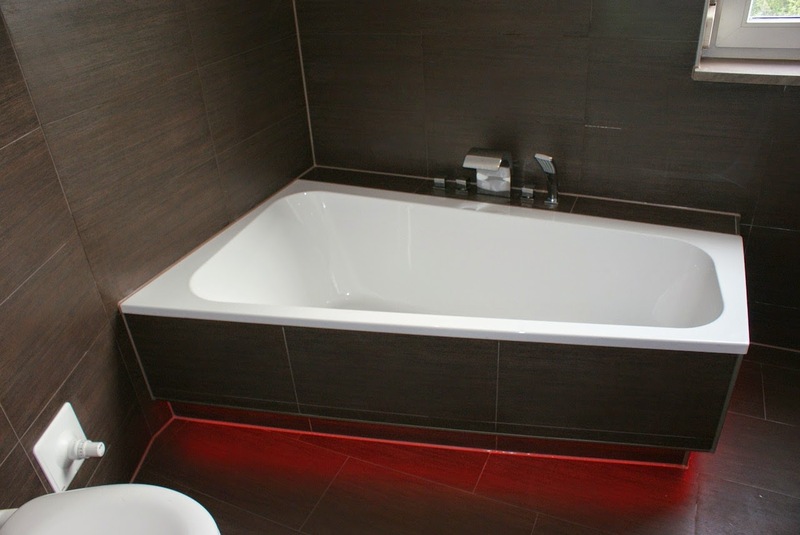 You can make boring walls in your bath look bold, extravagant and eye-catching. Nothing changes the look of a room like a fresh coat of paint. Experiment with decorative paint techniques like stripes or an all-over stencil. Dare to use contrasting colors on the door and ceiling. One more idea is that you can give your bathroom an unexpected punch of color or graphic wallpaper. And if you really one to ‘go crazy’ with decorating, paint the radiator a wacky color. You can also add a pop of color with colorful shower curtain. One of the most important things in the bathroom is a proper lightning. A good lighting plan is a series of layers — placing ample light where it is needed for showers, shaving, or putting on makeup, for instance, while other light sources enhance the overall mood of the room. In a chat with the people behind Sydney-based firm Oxford Bathrooms, I learned that large mirrors, both at the vanity and over the tub, effectively reflect all of these layered light sources for the best effect. Candles also offer wonderful sparkle and set a distinctly relaxing, romantic tone, as long as you make sure to keep them away from any flammable objects. Put a real chalkboard in your bathroom where you and your family can write inspirational quotes or draw funny pictures. The great thing about this is that you can change it all the time, maybe organize some family arrangement, where every member should right a positive thought per week. Chalkboard walls function as changeable wallpaper with different designs. 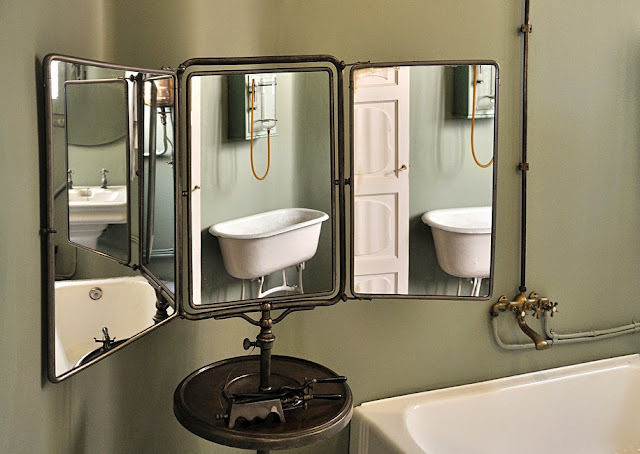 Few easy ways to change the look of your bathroom is to switch the mirror, the towel rack and vanity space. Make all of this bathroom furniture interesting and edgy, you can repaint them, or consider buying some unique styled pieces, or perhaps refresh them yourself. As for mirror, the rule is: the bigger, the better. While accessorizing, don’t forget the small touches like scented candles, potpourri, fresh flowers from your own garden, sachet packets for drawers, and a display of pretty bottles. As you can see, this room just because shouldn’t be regard as merely functional, but also beautiful and appealing. Make it your own, with big accessorizes and small details, and expect that ‘wow’ effect, when your guests enter the space. Look at your masterpiece and admire it, you deserve it.